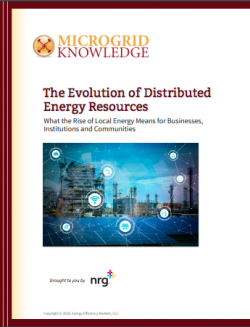 A new special report from Microgrid Knowledge and NRG Energy explores trends in local energy and distributed energy resources. This chapter looks at the evolution of incentives and today’s challenge placing a monetary value on such microgrid benefits as reliability and resiliency. Government incentives have heavily shaped growth of distributed energy over the last two decades, particularly for renewable energy and energy storage. They continue to do so. But distributed energy is increasingly built for other reasons as well, some readily quantified in markets and others involving human comfort and safety. The advent of net metering about three decades ago marked a pivotal point for distributed energy. Through net metering, a utility pays customers for the solar energy they generate but do not use. This tends to happen mid-day when solar power is often plentiful, but household energy use is low. The policy spurred rooftop solar installations as 40 states instituted the programs. For years the residential solar market experienced an annual growth rate of 50 percent or more, according to the Solar Energy Industries Association. But for utilities net metering meant loss of revenue that they argued would lead to an undue burden on lower income ratepayers. As they saw it, those who could afford solar panels would buy less utility electricity, leaving a smaller number of customers — those who could not afford solar panels — covering utility fixed costs. Concerned about looming rate inequity, state regulators began reforming net metering rules about three years ago. Some states, such as Hawaii, rescinded net metering, while Arizona began to impose fixed charges on new solar customers. This trend continues as more states reconsider their net metering rules. As a result, policymakers and solar power companies began devising new ways to value solar power and other distributed energy. The loss of net metering has proven to be a boon for energy storage. More organizations have begun pairing storage systems with their solar installations, in what’s known as solar plus storage. Doing so takes some of the sting out of losing net metering by creating a new, favorable economic model. Solar plus storage can be used to avoid or reduce demand charges and to arbitrage the difference in electricity prices between times of peak and low demand. Following this model of leveraging markets and pricing, even more revenue opportunities are emerging for the microgrid and other distributed energy resources. It turns out that a microgrid has several distinct potential revenue streams. These include price arbitrage opportunities — leveraging internal resources against real-time electricity prices to achieve the lowest cost mix of energy resources at any given time. A microgrid also can sell ancillary services to the grid. For example, it might provide frequency regulation service by injecting or absorbing energy to maintain the grid’s critical balance between supply and demand. Or the microgrid might offer standby power — known as spinning and non-spinning reserves — that grid operators require should a generation source fail. 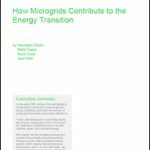 In addition, microgrids are increasingly valued as grid management tools. 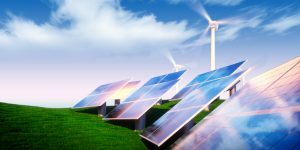 They can be used to smooth out the intermittency of renewable energy resources such as wind and solar power, quickly injecting power, for example, if cloud cover diminishes generation from a utility solar plant. Microgrids and other distributed energy resources also are used as non-wires alternatives (NWAs). A good example of an NWA is New York’s Brooklyn Queens Demand Management (BQDM) project. Instead of spending $1 billion on a substation upgrade, Consolidated Edison (ConEd) is seeking a mix of microgrids, energy efficiency, demand response and energy storage to fulfill its need. In addition, distributed energy and microgrids can be used as an alternative to building new transmission and distribution lines, which is what Arizona Public Service did when it installed a battery storage system instead of rebuilding about 20 miles of lines to serve the small community of Punkin Center. Determining value in the above examples is fairly straightforward; markets set the prices. Valuing another benefit — energy reliability and resilience — is not so simple, yet may be the primary reason an organization installs a microgrid. What is the difference between energy reliability and energy resilience? Energy reliability refers to the ability to avoid power outages. Energy resiliency describes the ability to bounce back quickly from an outage. 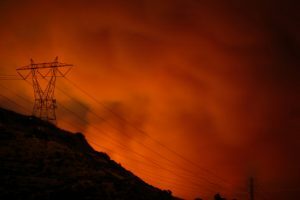 Whether it is wildfires in the West or hurricanes in the East, recent experience has demonstrated great need for a reliable backup to grid power. For example, it took more than 10 days to restore electricity to 350,000 customers after fires ravaged California’s wine country last year. Utility customers in Florida had a similar experience when Hurricane Irma knocked out power to 4.4 million customers. Puerto Rico’s electric grid still reels from the effects of Hurricane Maria many months later. These events add to the urgency for greater energy resiliency, a need that took sharp shape in late 2012 after Superstorm Sandy knocked out power to parts of New Jersey and New York for two weeks. Public awareness grew about the value of microgrids and distributed energy when certain universities, hospitals and communities remained online as others around them were in the dark. In Lower Manhattan, New York University’s combined heat and power plant kicked in and kept power flowing to 22 buildings until Consolidated Edison restored power. NYU estimated that under normal circumstances the plant would save between $5 million and $8 million a year in energy costs. Sandy was not normal, but it validated the value of the plant. The same was true in the Bronx where Co-op City, the largest single residential development in the U.S., maintained power from its on-site microgrid even as the surrounding neighborhoods went dark. It is difficult to quantify the value for these New Yorkers of having light and heat through the storm, let alone to first responders. However, we do have a sense of the overall price to the economy when an electric outage occurs. For example, a U.S. government report has estimated that weather-related outages from 2003-2012 cost $18 to $33 billion annually. How does an organization apply that number to its operation, especially for an unpredictable outage that will occur at some unknown date? This inability to value energy reliability and resiliency creates confusion for organizations that wonder if they are paying too much by installing a microgrid to keep power flowing. But the lesson seems to be taking hold even without hard numbers, and investment is being made in energy reliability and resiliency. GTM Research forecasts that U.S. microgrid investment will reach $12.5 billion by 2022. And states such as California, Connecticut, New Jersey and New York are all ramping up investments in distributed energy and microgrids. In California, for instance, the state recently awarded $51.9 million to 10 microgrid projects. New York has established the NY Prize, a competition program to distribute $40 million for microgrid development. Many reasons — from energy reliability to conservation — encourage microgrids and distributed energy, but frequently it becomes a dollar-and-cents decision. Fortunately, business models are emerging that offset a microgrid’s cost based on its market play without placing a price on reliability. Regulatory changes also bolster the industry, as described in the next two chapters. In the next article in the new special report series on local energy, we will take a look at the rise of microgrids and distributed energy. The report will also cover how customers can get the full value from these resources.